Green Action Centre is Happy to Welcome New Team Members! (Appointed 2018) Lawrence Bird has served for a number of years in various capacities at Sustainable Building Manitoba (formerly the Manitoba Chapter of the Canada Green Building Council) and has been a LEED®Green Associate since 2012. 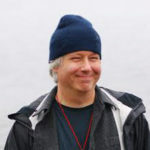 He is a current member of SBM’s Board of Directors, and serves of the City of Winnipeg’s Urban Design Advisory Committee. He is especially interested in green urbanism, and brings a planner’s as well as an architect’s perspective to his work (he is licensed in both professions). As an urban designer he has contributed to two of Winnipeg’s first Transit Oriented Developments, both of which integrate community development, bus rapid transit, active transportation and geothermal district heating. He works at pico ARCHITECTURE (formerly Ager Little Architects). Lawrence writes frequently for Canadian Architect, has taught at McGill University, the University of Manitoba, Kanazawa International Design Institute (Japan), and the Harvard Kennedy School of Government. He also has a visual arts practice; it frequently focuses on satellite imagery of landscape and urban space, projected in public places. Cindy has been employed in various human resource positions for over twenty years. 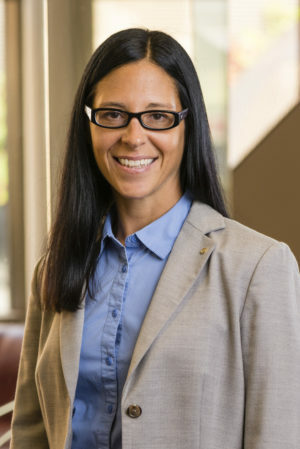 After graduating with a Masters degree in Business Administration from the University of Manitoba, Cindy spent 7 years working and living in the Northwest Territories. She enjoyed many canoeing, camping and hiking adventures in Canada’s beautiful north, most notably paddling the Nahanni River. Since her return to Winnipeg, she has worked as the Manager of Human Resources for the St. James-Assiniboia School Division for the past 16 years. During her time at the School Division she also held the position of Community Led Emissions Reduction Coordinator. A provincial pilot project whose mission was to empower and enable community members to make small sustainable behavioral changes to reduce GHG’s on a permanent basis. Cindy is an avid cyclist and is thrilled to contribute her experience and knowledge of human resources to the Green Action Centre. 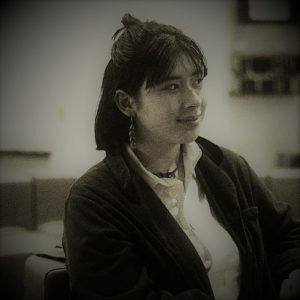 Nora currently works for the St. James-Assiniboia School Division in Winnipeg and has recently created and chaired the divisional Sustainable Development Committee there. This committee works to promote sustainable development from an integrative or “whole school” approach, and a significant opportunity to create lasting change. She’ll soon be moving to a new role at the Seven Oaks School Division. She also serves a broader role as Chair of the Manitoba Association of School Business Officials Sustainable Development Committee, which brings together School Divisions throughout Manitoba to collaborate and share information and ideas about how to engage and encourage sustainable development within the communities that they serve. 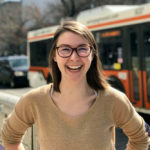 She has also co-authored the position paper Cost Benefit Analysis of Externality Factors for Battery-Electric Transit Buses with Dr. Robert Parsons as part of Sustainability Economics course project (published Nov 2017). She is a CPA, CGA with a background in cost benefit analysis and is also currently enrolled as a student in the Masters of Business and Administration Program at the Asper School of Business with a study concentration in Sustainability. Bethany joined the Green Action Centre Team in 2018 as the Living Well, Living Green Coordinator. She is a Media and Communications graduate of Canadian Mennonite University who is passionate about storytelling and communicating, as well as living a sustainable lifestyle through reducing waste and choosing eco-friendly commuting options. In her free time, she enjoys biking, gardening, and cross-country skiing. Bethany encourages anyone who has ideas about living more sustainable lifestyles to contact her. Victoria is a poet, singer, sister, helper and protector. She is very active in the community, loves the wealth that our world provides for us, and hopes to increase awareness and take action on what we need to do as peoples to have clean water, clean air, and clean energy. We are excited that she has decided to share her vast array of skills with us. 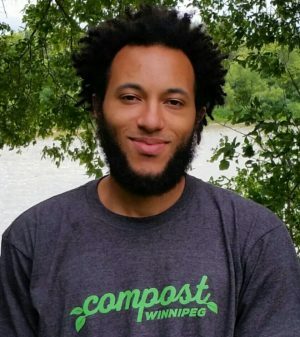 Tyrell passionately invests his time in all things natural and traditional, from indigenous ceremony and organic gardening to nature walks and regenerating the environment. He can regularly be observed educating about and increasing awareness regarding many of our ecological issues including water quality, soil degradation, commercial farming, deforestation, and species diversity. “One seed one person one square foot at a time” is the mantra he is known for, and this perspective is the motivation behind his efforts of building a healthy community and repairing the planet.